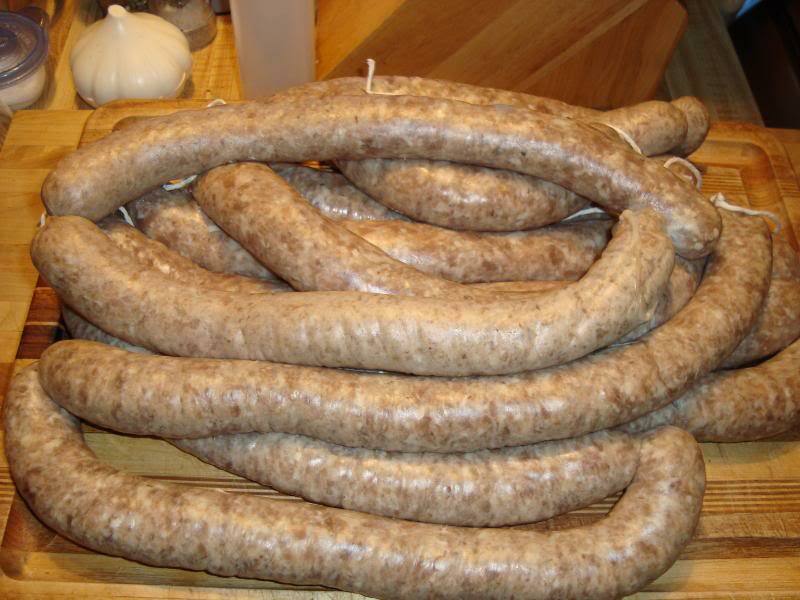 If you're thinking about making your own sausage, and curing and smoking it at home there are a variety of topics that we should discuss before you embark on that little project. First and foremost we have to think about safety. 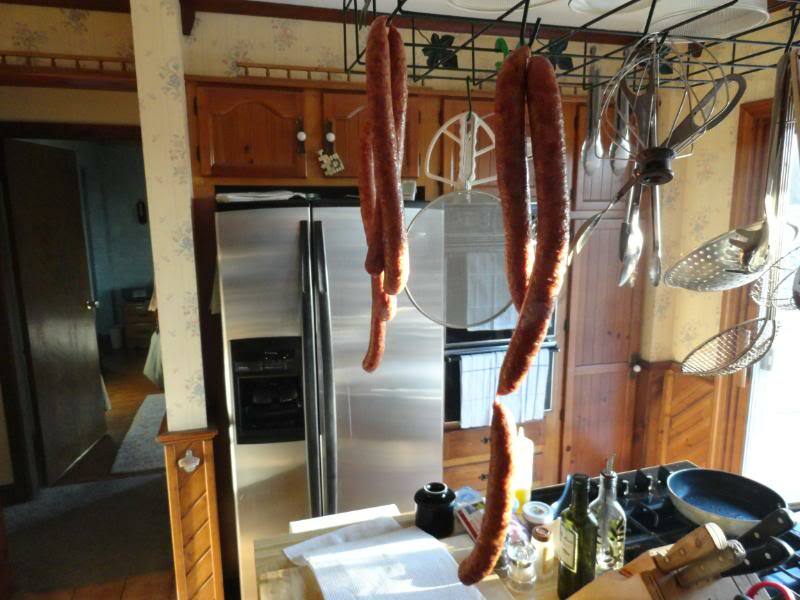 Sausages are cured for a reason...to prevent the propagation of botulism spores, which are present in all forms of meats and vegetables and normally are quite harmless. If these spores are subjected to an environment with little or no oxygen, low acidity, the presence of nutrients, moisture and temperatures in the 40°F to 140°F range, problems begin and the botulism spores can blossom into deadly food poisoning. Insta Cure #2, also known as Prague Powder #2 is sodium nitrite (one ounce per pound of salt) and sodium nitrate (.64 ounces per pound of salt) mixed with a salt carrier and is used in dry curing meats that do not require cooking, smoking or refrigeration. 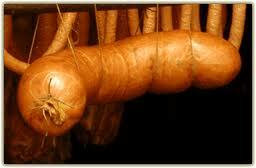 This cure is normally used in making dry cured sausages such as pepperoni, salami or perhaps curing a ham. Think of a commercial for those cold capsules with the tiny time release action...that is how this cure works...breaks down slowly over time while the dry cure is in process and becomes nitric oxide, which is the compound that actually cures the meat. "A cure specifically formulated to be used for making dry cured products such as pepperoni, hard salami, genoa salami, proscuitti hams, dried farmers sausage, capicola and more. These are products that do not require cooking, smoking, or refrigeration. 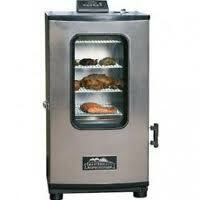 Some meats require curing for up to 6 months. 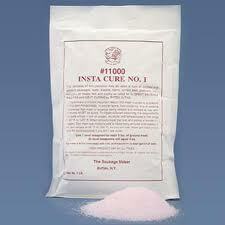 InstaCure #2 contains salt, sodium nitrite (6.25%) and sodium nitrate (1%). 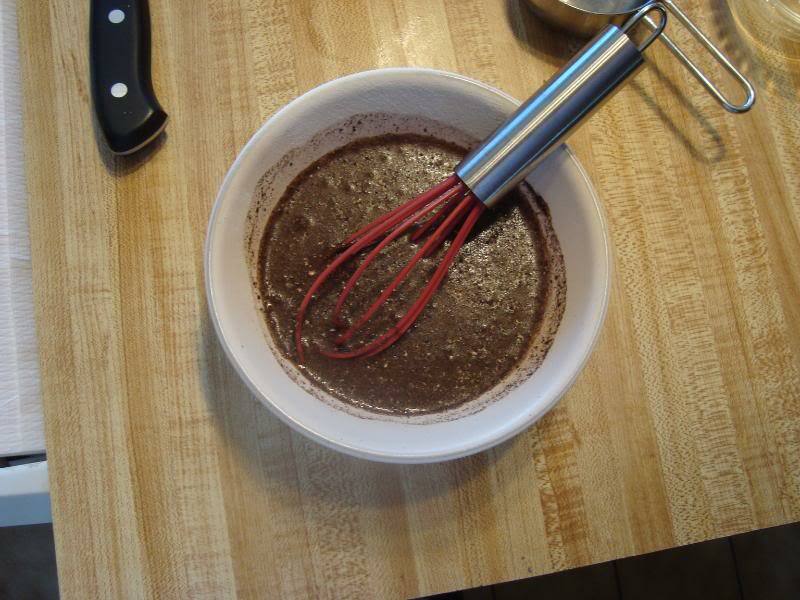 Use 1 level teaspoon per 5 lbs. of meat. 8 oz. of Insta Cure™ will process approximately 240 lbs. 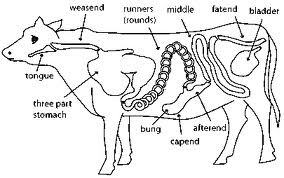 of meat." Tenderquick is a product produced by Morton salt. There are several versions of curing products Morton's makes..there are also sugar cures which are lovely to cure bacon or ham with. 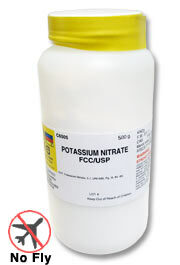 Saltpeter, or potassium nitrate....ok folks....remember this....it is a deadly poison with a fatal dose being as little as 30 grams. Doses between 2 and 9 g have been reported to cause methemoglobinemia. Enough said? I'm not going any further into it, because I do not want you using it! It is not safe for a home kitchen as the amounts used are so miniscule they are almost impossible to measure and truly impossible to mix properly in a home setting. Forget you ever heard about it. 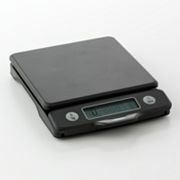 One of the first things you will need will be a reliable kitchen scale. The single most important aspect in curing meats is an accurate measurement by weight of the meat so the proper amount of cure can be used to do it safely. 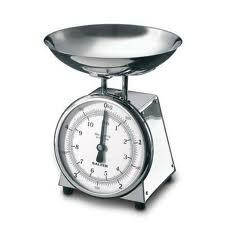 Above are two different types of kitchen scale..on the left a traditional scale with increments in pounds and ounces, and on the right a digital model that will measure in both pounds and ounces, or in the metric system. I highly recommend that you get a model that measures in grams, as it is much more accurate. OK...now that we have weighed our meat (we'll weigh it again after grinding, just to be sure) it's time to grind it up and actually make some sausage. 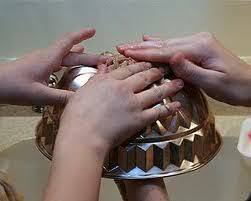 For that we will need (obviously) a grinder. 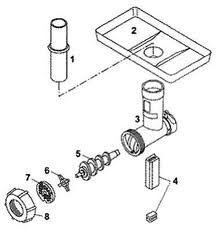 Pictured below are several types of grinders from manual to a dedicated electric grinder to an attachment for a good quality mixer. 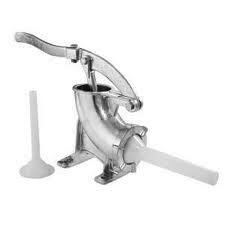 Basically, all grinders consist of a hopper in which to put the meat, an auger which pushes the meat through the grinder, and a cutter and plate which do the actual work of grinding the meat. 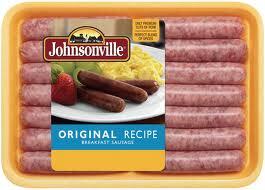 Plates are available in various sizes so one can attain the consistency desired for a particular sausage. 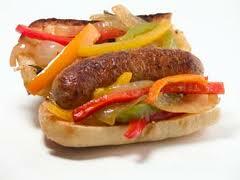 An Italian sausage or bratwurst, for example would be a much coarser texture than a hot dog which is emulsified. When grinding meat the "prime directive" is- colder is better. 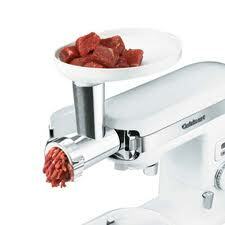 This applies to both the meat to be ground and the grinder itself. 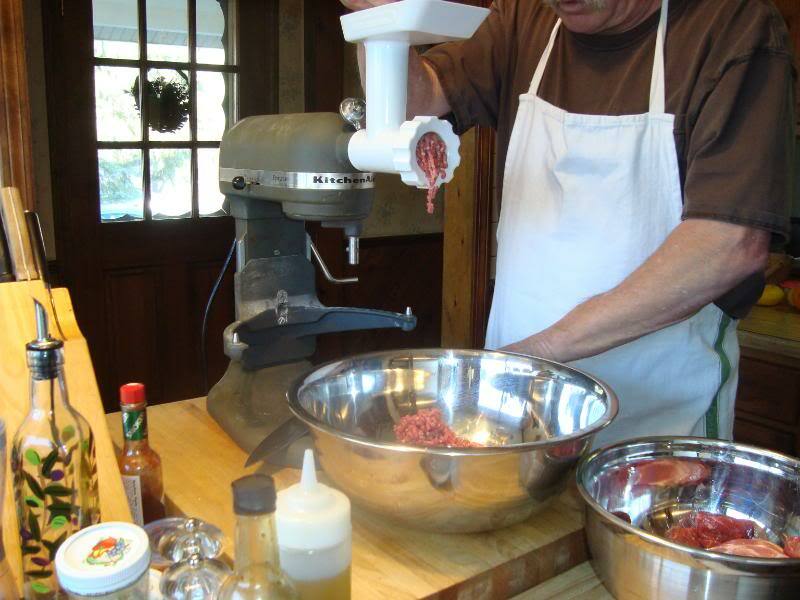 Partially frozen meat will grind much easier than warmer meat, and the cold will keep your meat out of the "danger zone" as well. I also like to keep my grinder's auger, plate and cutter in the freezer whenever possible, for at least an hour or two before use...it won't harm them to keep them there much longer if you have room in your freezer. 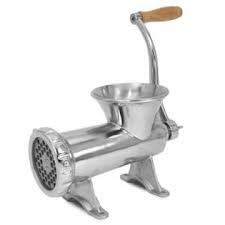 Here is my mixer-grinder in action preparing some Swedish potatis korv. 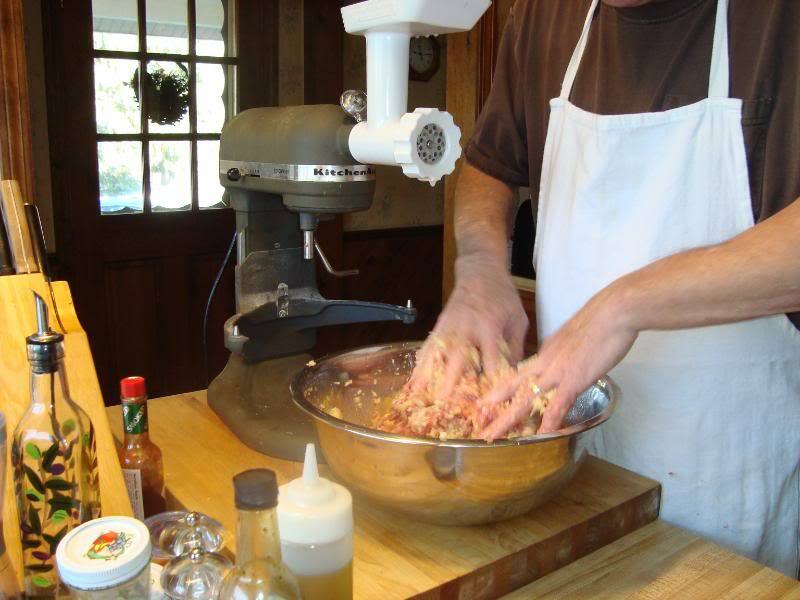 Mixing your sausage:Unless you are a hunter and processing a deer or elk and making hundreds or pounds of sausage, I would suggest that the best thing to mix your sausage with are the tools the good lord gave you...your own two hands. 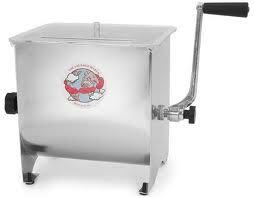 The vast majority of sausage makers mix 5 or 10 pound batches which are easily done in any large stainless steel mixing bowl. Mechanical mixers also do a nice job, but most are an incredible PITA to clean up after only a few minutes work....I'd rather use food service grade gloves and just wash out a bowl when I'm done. 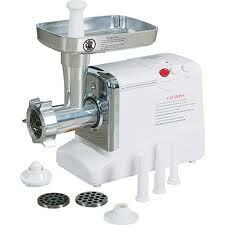 If you are tempted...here are a couple of examples of mechanical mixers. 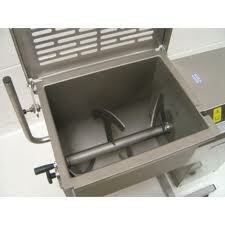 They are all about the same, just different size hoppers and either manually powered or electric. But I'm getting ahead of myself here...we'll assume that your meat is all ground up and in the fridge staying nice and cold so now we can clean up the counter, make some space and get down to actually putting the ingredients together and making some sausage. The first thing I like to do is double check my recipe and weigh out all of my seasonings. I realize not everyone has a dozen little custard cups hanging around, but if you have them I like to use cupcake wrappers to measure out all my spices. They are super cheap and you don't have to wash them. 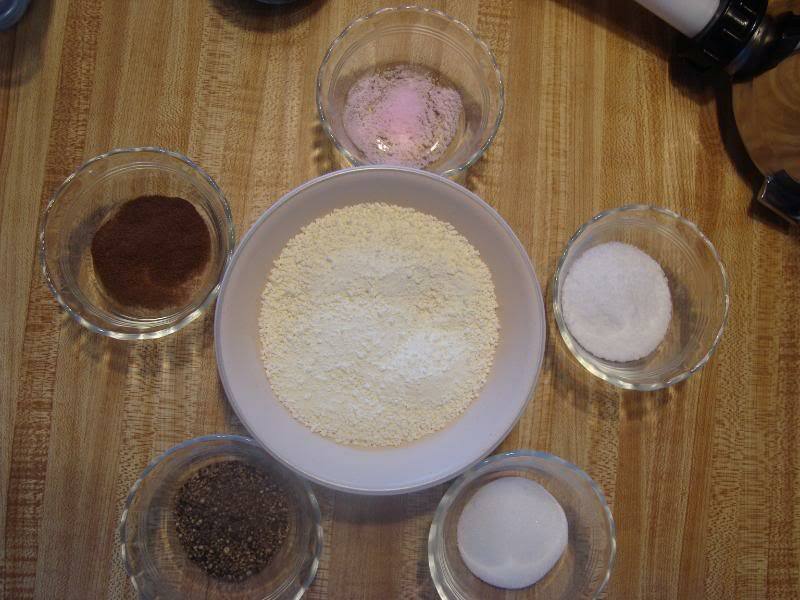 Here are all my spices laid out for some Ukranian sausage I did a while back. 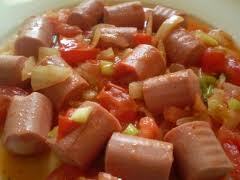 You will seldom find a sausage recipe that does not call for liquid or some type. It may be water or wine, perhaps egg white or who knows what else? My point is this....when we mix we want to be sure that the cure is well distributed throughout the mixture, and the spices are as well, so measure out your liquid first (ice cold liquid please!) and add all your seasonings to the liquid, then pour over your meat and mix well. Ok...now that we have that done you can put your sausage back into the fridge and let the flavors marry overnight while you get your casings soaking and prepare to stuff in the morning. It is not necessary to let your mixture sit overnight, I just prefer it and feel it produces a better textured and better tasting sausage than if you stuff it right away. 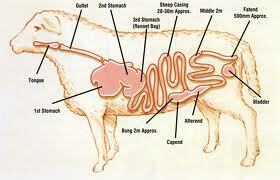 Natural casings, as you probably know are obtained from the digestive tract of sheep, hogs and beef. 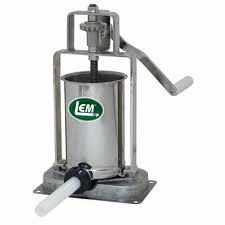 They are sold in sizes that range from 20mm sheep casings to a 5 inch diameter beef bung that is used for bologna. Natural casings are traditionally sold by the hank, which is 100 yards of casing. 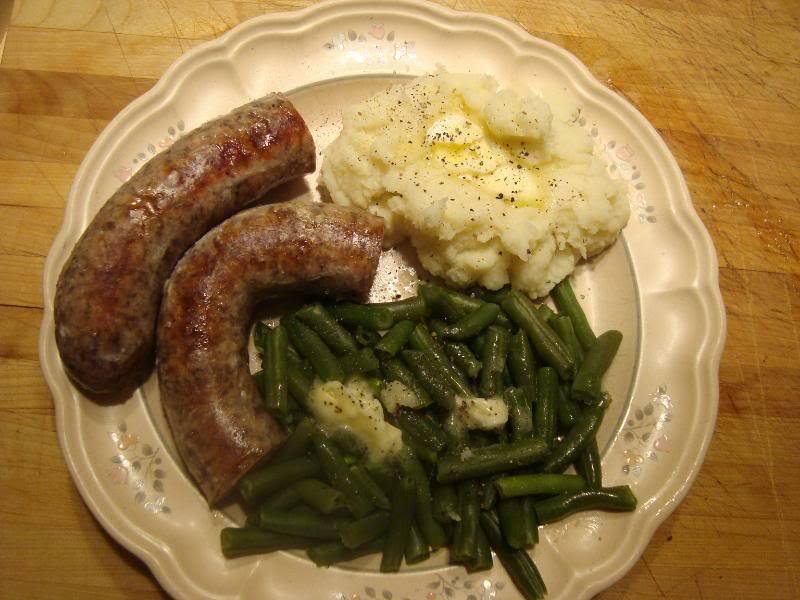 Most internet providers now have smaller sized packages for the home sausage maker. Sheep casings ...you will find these casings from 20mm to 26mm in size, and they are normally used for breakfast links, snack sticks, vienna sausage, wieners and frankfurters. 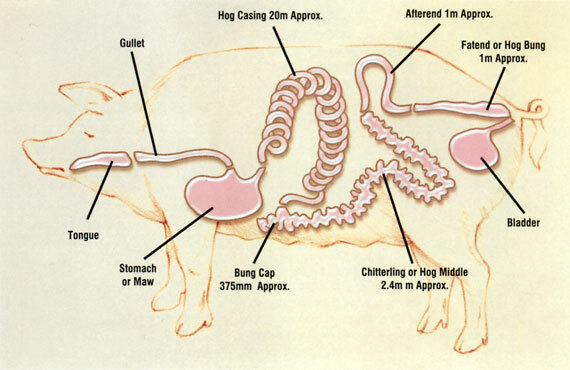 Hog casings are probably the most versatile and widely used casings for the home sausage maker and they range in size from 28mm which would be used for an Italian sausage or small bratwurst through 45mm which would be used for a Polish Kielbasa all the way up to about 3 1/2 inches, which would be used for salami. 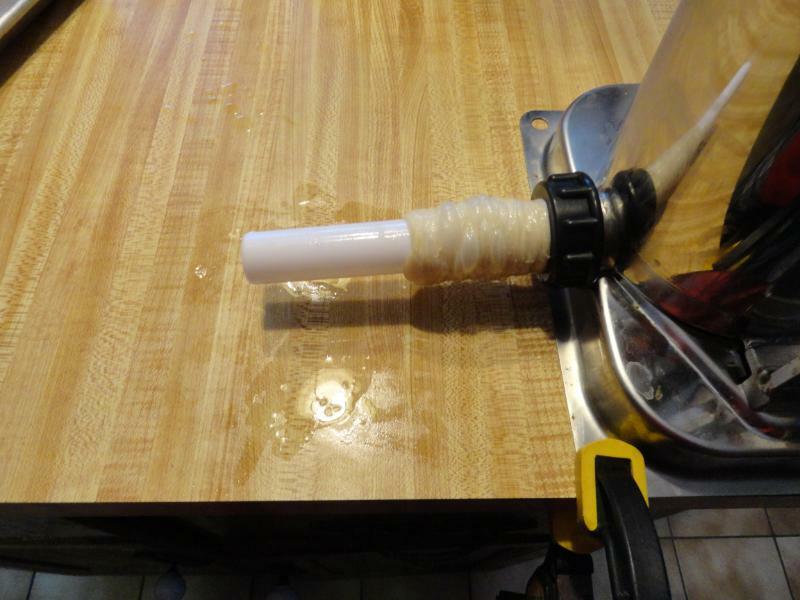 Beef casings are very large...normally the bung is used to make bologna or copicolla or some other dry cured product. 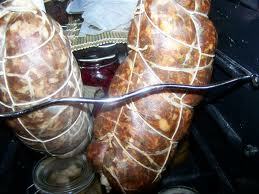 Below is a beef bung stuffed with salami, and one with capicolla. Collagen casings are another natural casing that is made from the collagen in the hides and bones of the animal....it is mixed into a dough-like substance, then extruded and dried. It comes in edible (round) and inedible (flat) varieties. I personally do not care very much for collagen casings...while they stuff very well and don't blow out...they are very difficult to link into individual sausages. 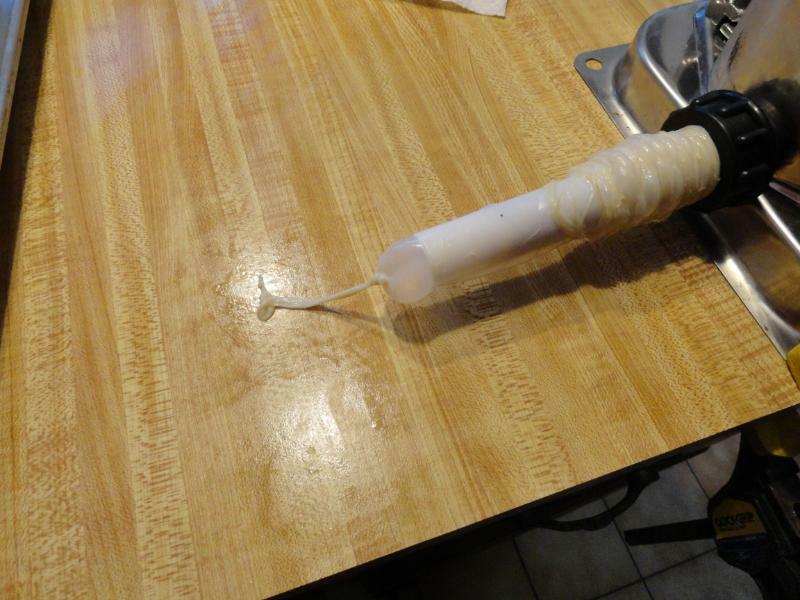 Cellulose, usually from cotton linters, is similarly processed into a paste and extruded into clear, tough casings for making wieners and franks. They also are shirred for easier use and can be treated with dye to make "red hots". 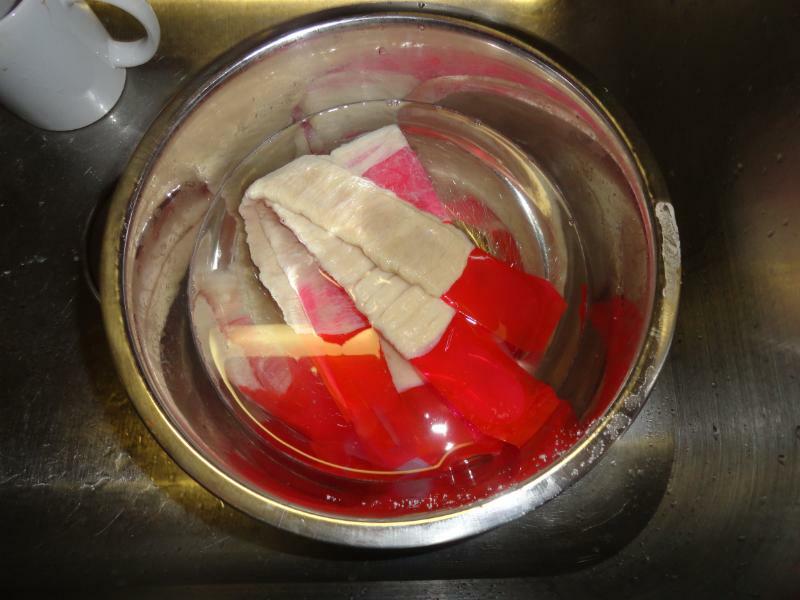 The casing is peeled off after cooking, resulting in "skinless" franks. Cellulose fibers are combined with wood pulp to make large diameter fibrous casings for bologna, cotto salami, smoked ham and other products sliced for sandwiches. 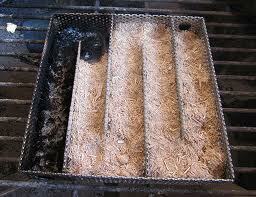 This type is also permeable to smoke and water vapor. They can be flat or shirred, depending on application, and can be pretreated with smoke, caramel color, or other surface treatments. 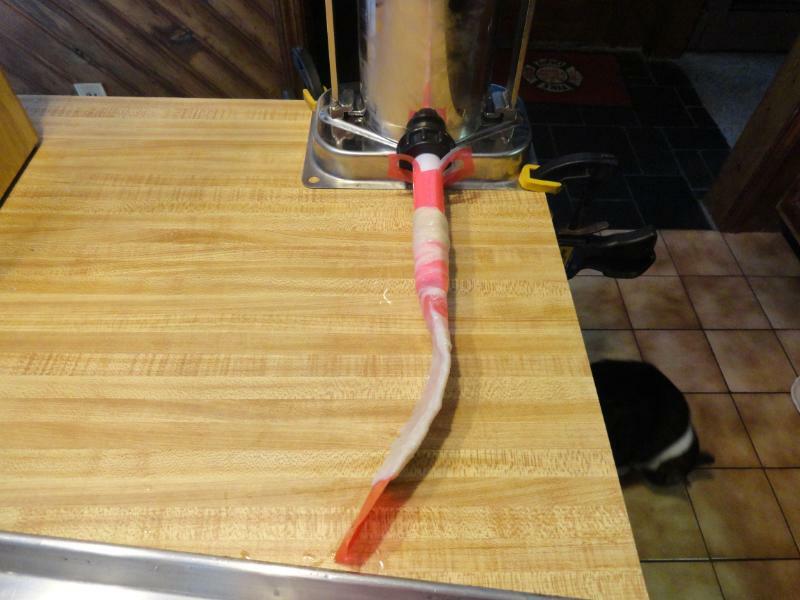 Plastic casings are extruded like most other plastic products. They also can be flat or shirred. Generally, smoke and water do not pass through the casing, so plastic is used for non-smoked products where high yields are expected. The inner surface can be laminated or co-extruded with a polymer with an affinity for meat protein causing the meat to stick to the film, resulting in some loss when the casing is peeled, but higher overall yield due to better moisture control. 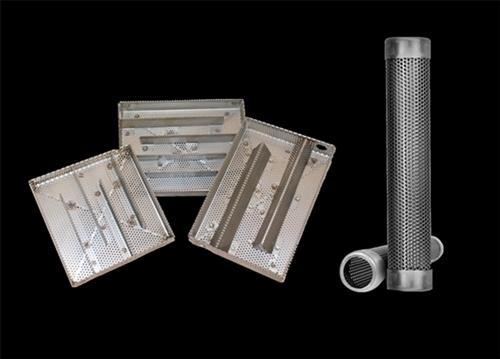 Plastic casings are not commonly used any more due to health hazards. Okay....all that being said...here (in order of personal preference) are my favorite sources for casings. 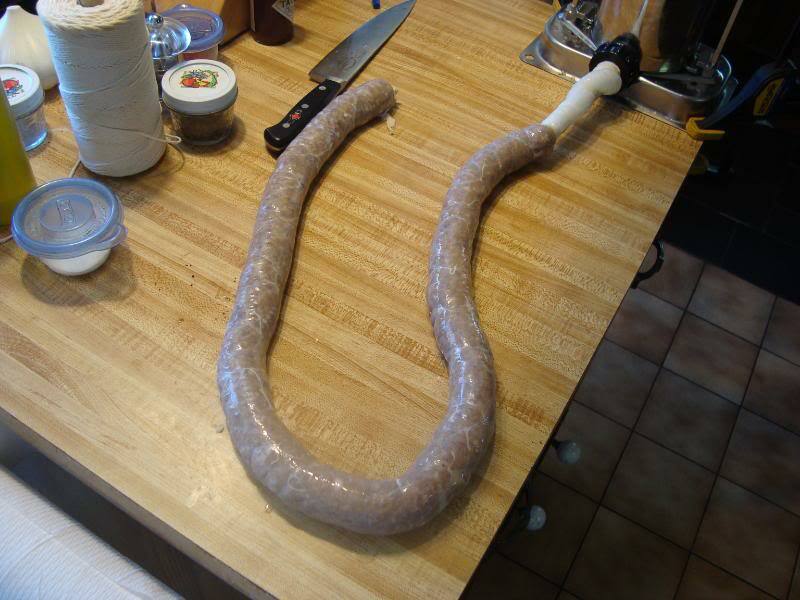 I highly recommend that as a beginner you should go with natural hog casings to make your first batch of sausage...and to make it as easy as possible on yourself,pre-tubed casings are by far the easiest to use. Alrighty then! Let's get down to the fun part...time to start stuffing some sausage. 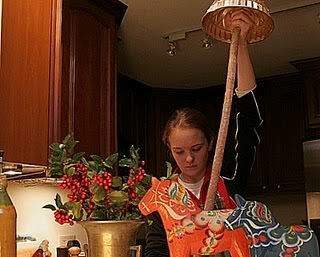 As you can see you are limited only by your imagination..the enterprising young lady below took her bundt cake pan, inverted it and is making some fine looking sausage with it. 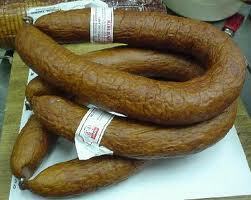 The first batch you will see done here are with pre-tubed 38mm hog casings, and we will be stuffing some Kolbás Údené. First thing we have to do is get the casings limbered up and soft...this is accomplished by soaking them at least overnight and preferably for 24 hours before using them. Now we wet down or otherwise lubricate (food grade silicone) the stuffing tube and then slide the entire pre-tubed casing on. Once we have the casing on...we just slide it all the way onto the tube and then carefully slide the plastic piece out of the casing and we are ready to go. Tie a knot in the end of the casing and begin to crank the stuffer...it's easier if you have someone else to do the cranking for you, but if you take your time you can do this alone quite easily. You'll also want to have a small sharp object handy (tooth pick, ice pick) to punch a small hole in the casing if necessary due to any air pockets forming in the sausage. Then just feed the casing at the right rate....don't worry, you'll get the hang of it...this is probably what your first attempt will look like...a bit uneven, not stuffed to capacity...but again don't worry you'll get better. As you continue, you'll have to decide whether to link the sausage as you go, or just wait until you are all done to do it. I usually link as I go, because I have limited counter space and it makes it easier for me. 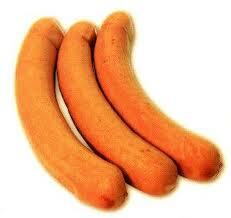 Just pinch the sausage and give it three or fours twists to the right. Then twist the next link three or four time to the left, and continue alternating directions until you have it all linked. 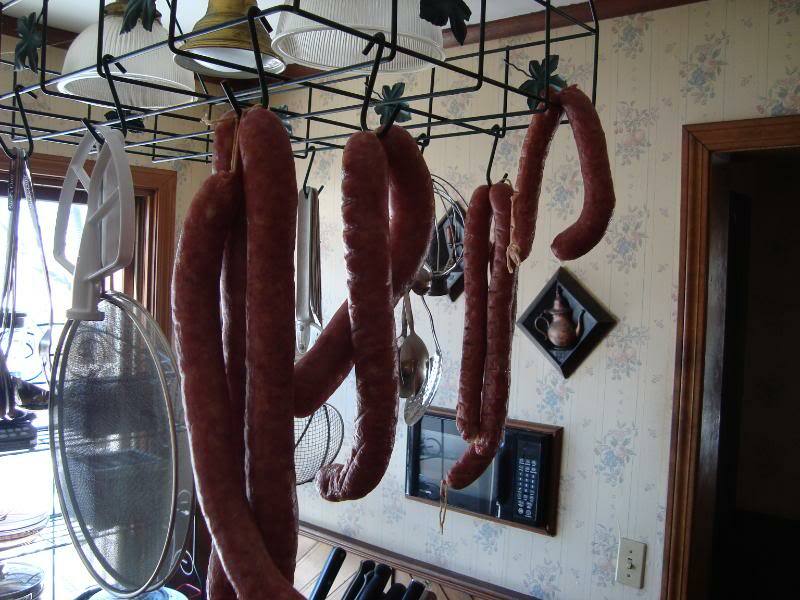 Once we have our sausage all stuffed we'll have to dry it for a while....the casing will not take the smoke unless they are dry. The best way to do this is to drape it over some smoking sticks and let it dry...a portable fan may come in handy to help speed the process. 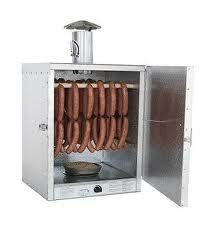 Well, since you are making smoked sausage I will assume that you already have a unit similar to one of those shown above, and know how to use it. 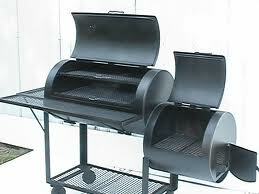 The particular smoker that I use is a Great Outdoors Smokey Mountain (better know as a GOSM) and is propane fired. 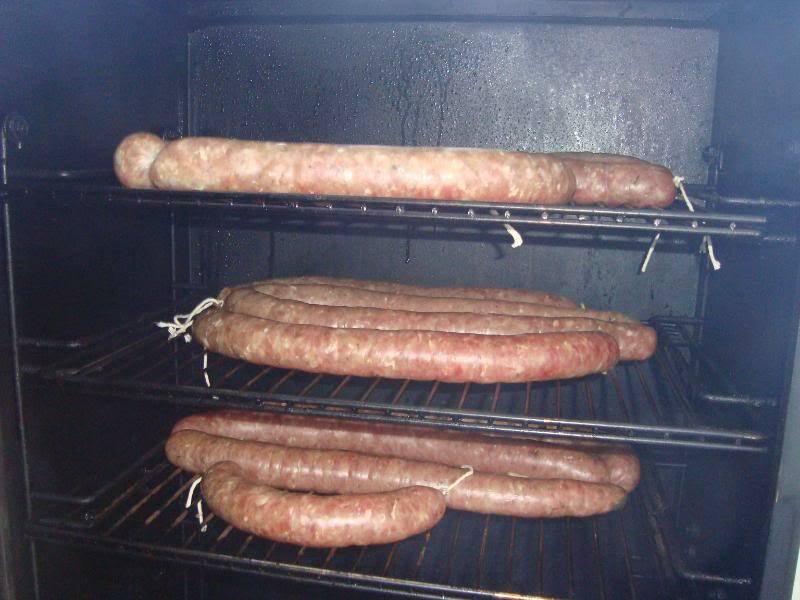 I like to smoke most of my sausage over a combination of hickory and apple wood, which I personally find to be the most pleasing combination for my palate. Your tastes may be different and I would encourage you to experiment with different woods. The basic goal when smoking a cured sausage is to bring it slowly to an internal temperature of 152°F and impart a nice smokey coloring and flavor to the sausage. I use two different devices to achieve this goal...obviously my GOSM and I also use the Amaz N Smoker that is sold by Todd Johnson, an acquaintance at several other smoking forums I frequent. Todd's products and customer service are beyond reproach, and I highly recommend you patronize his website if you are seriously getting into charcuterie. What I do is fire up my cold smoker (the one I got from Todd) and put the sausage in with the cold smoke for several hours. It may be four hours, or it may be much longer, depending on the flavor I'm looking to obtain. 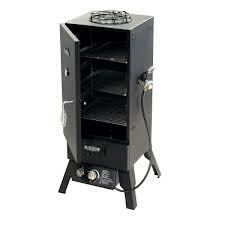 Todd's cold smoker will burn for about 10-12 hours on one load of sawdust. 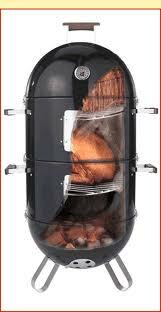 As I'm reaching the desired color, I light the main smoker and slowly bring the sausage to temp (152°F). When we've reached the desired temperature, the sausage is removed and placed in an cold water bath until the internal temperature has been brought down to 90°F. Once you have brought your sausage down to the proper temp you have one more task....hang it until it achieves the "bloom" you are looking for...the colors will deepen, and the sausage should achieve a nice exterior texture as well...hopefully any wrinkles will be minimized by the bath and the bloom. Hang it as long as you feel is necessary...a couple of hours has always been plenty for me. Wasn't that easy? All you have to do now is shrink wrap what you're not going to have for supper and refrigerate or freeze the rest for future use. 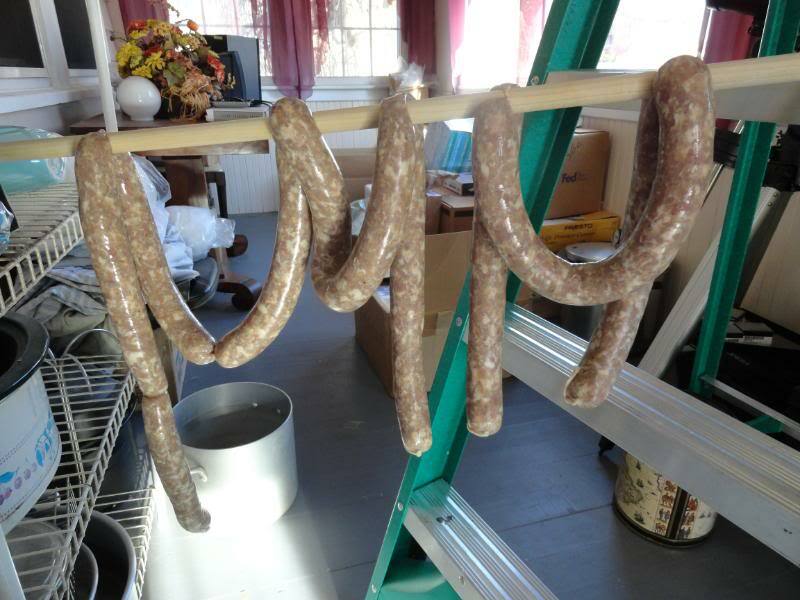 Please give sausage making a try folks...you'll be rewarded with some of the freshest, best tasting sausage you've ever had.